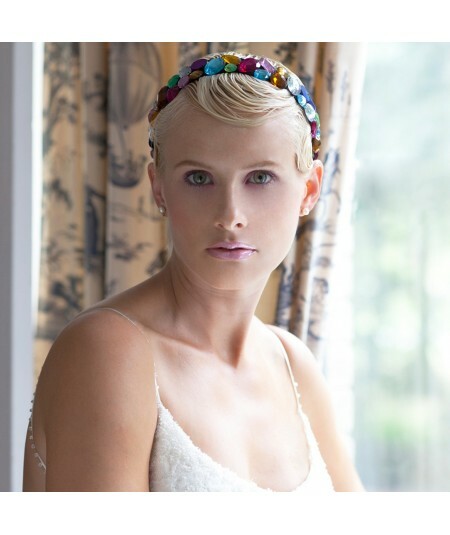 Wildflowers Trimmed with Swiss Satin Leaves and Beautiful Crystal Stones On our Classic Style Wrapped Super Skinny Swiss Satin Headband. 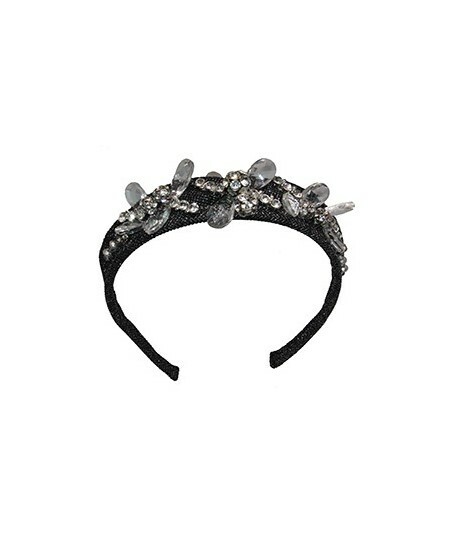 Add that Extra Sparkle to any Bride or Bridesmaid. 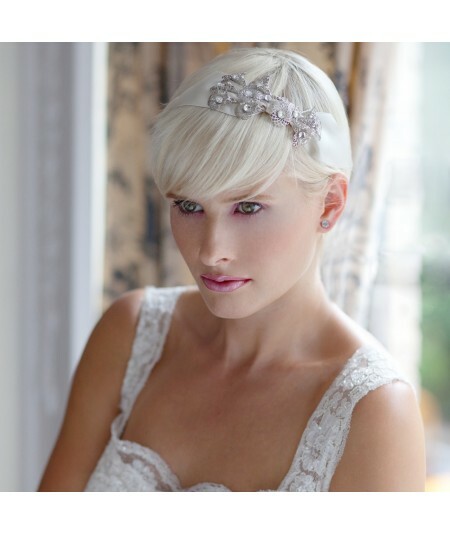 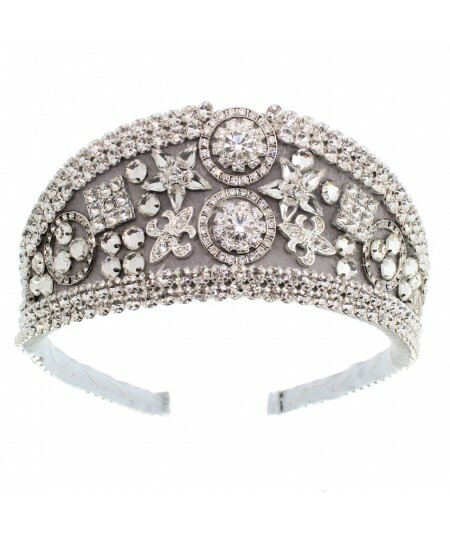 Romantic Bridal Accessories! 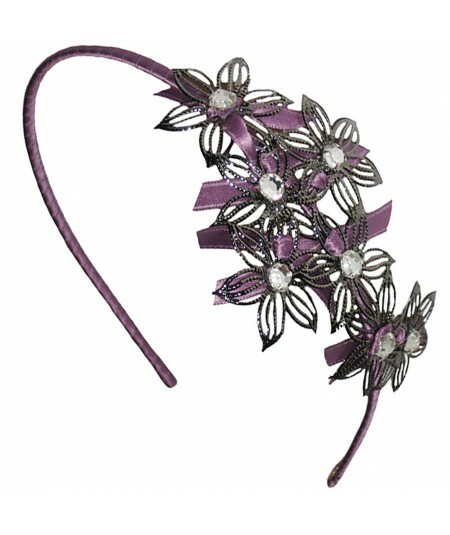 Swiss Satin 2" Side Bow Detail with Metal Lace Orchid Flowers and Beautiful Crystal Stones. 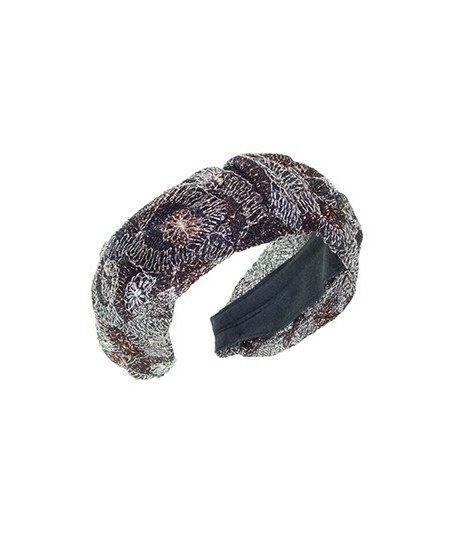 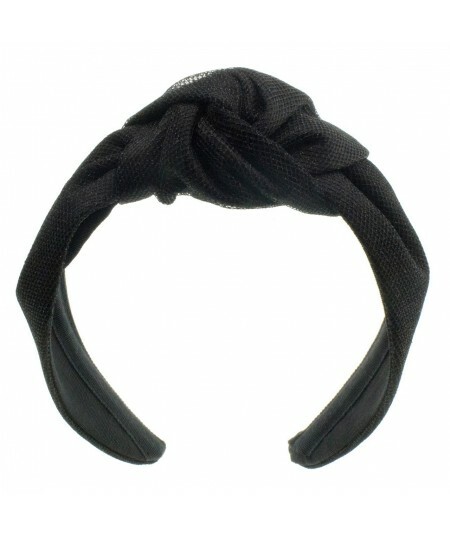 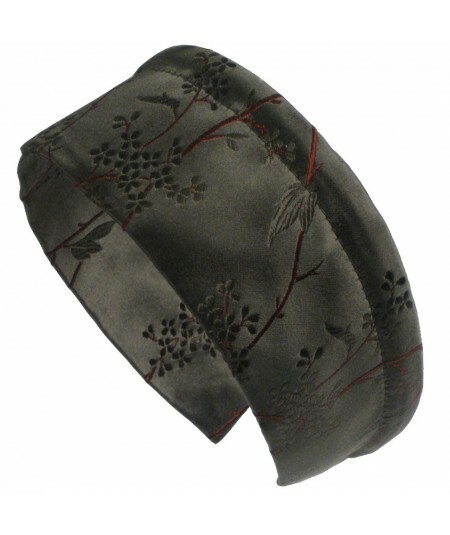 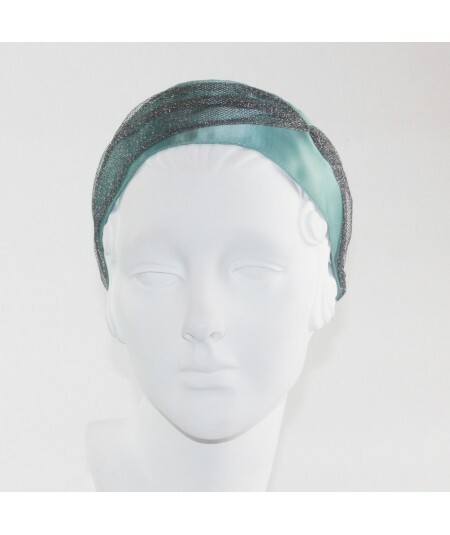 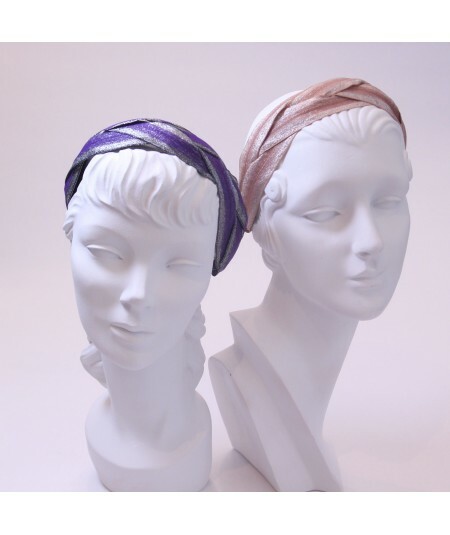 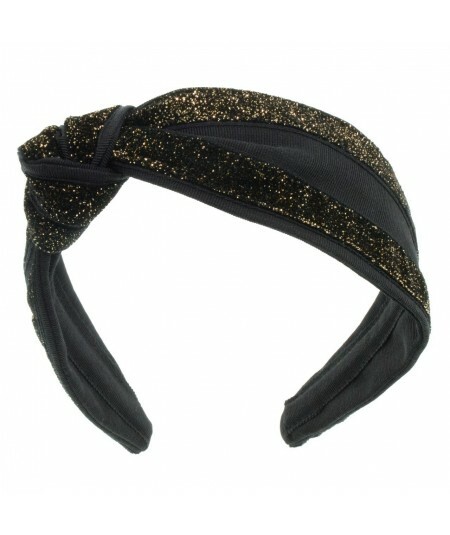 On our Classic Style Wrapped Swiss Satin Skinny Headband. 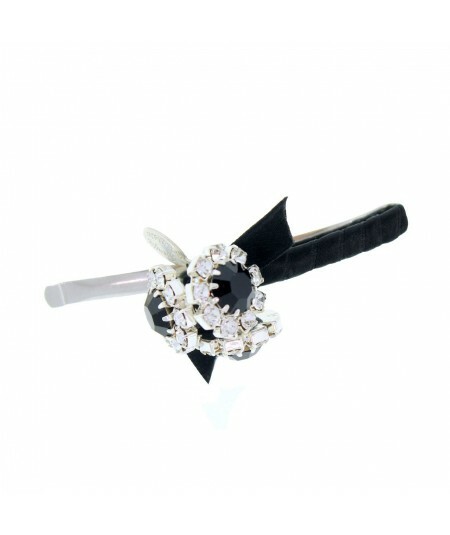 Add that Extra Sparkle to any Wedding Day Bride or Bridesmaid! 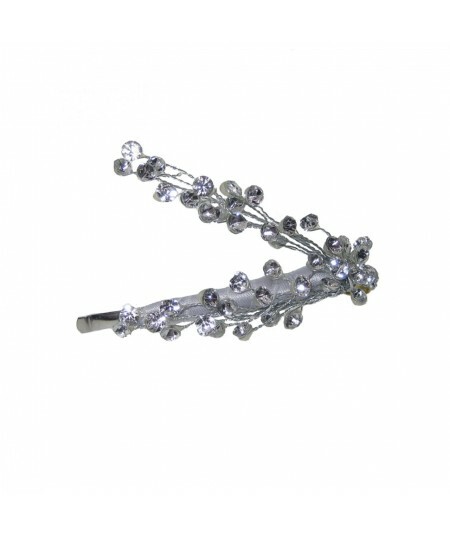 Elegant "V" Shaped Wrapped Satin Hair Pin with Rhinestone Accents Perfect for any Bridal Accessory! 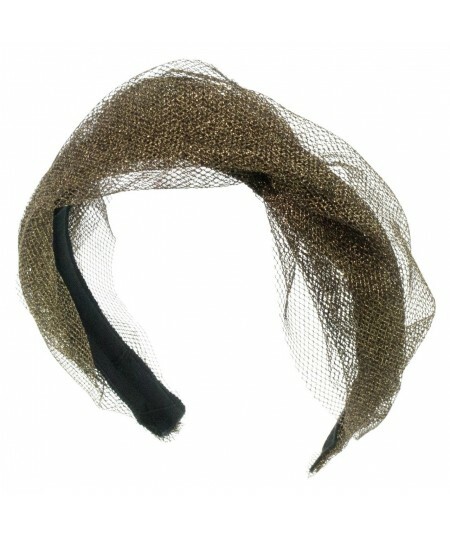 "Metallic tulle wide turban with bulk knot. 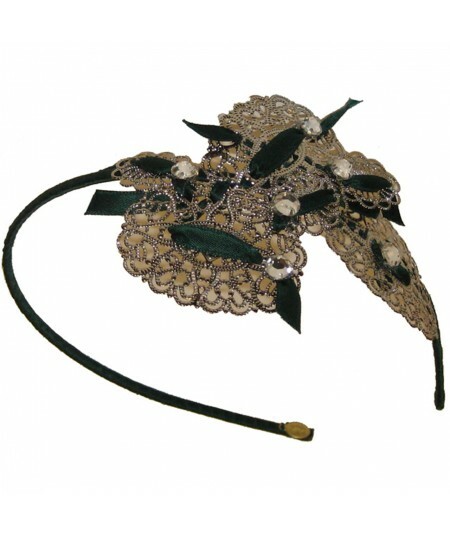 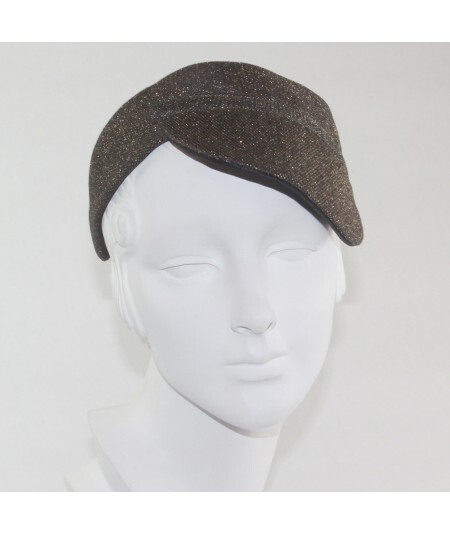 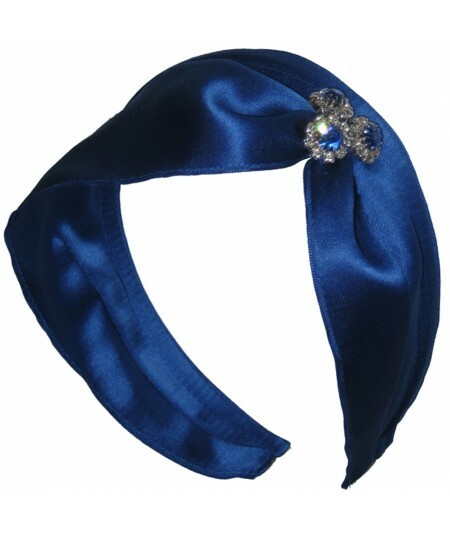 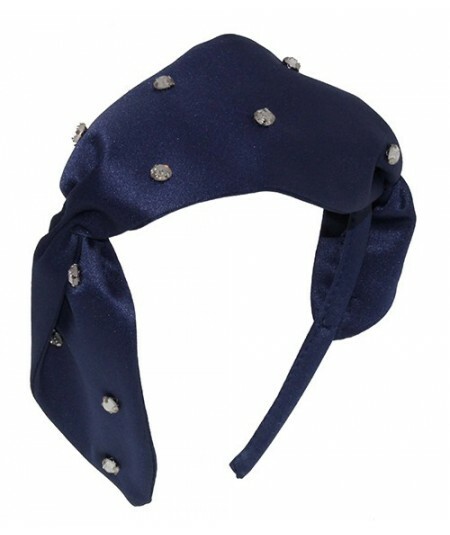 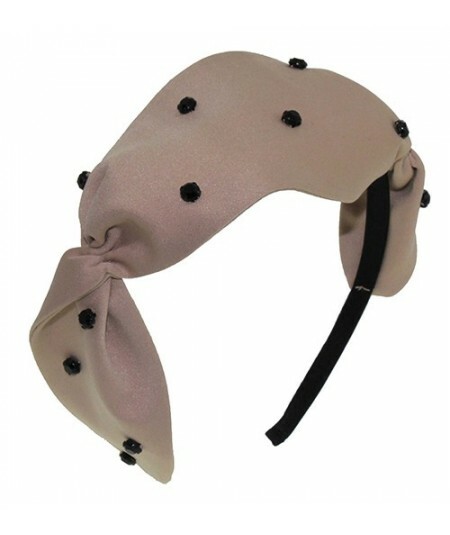 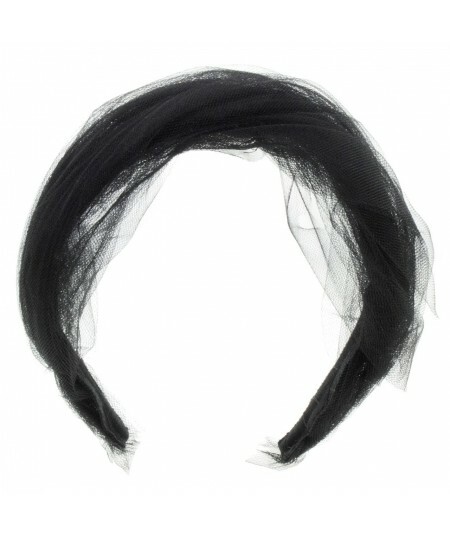 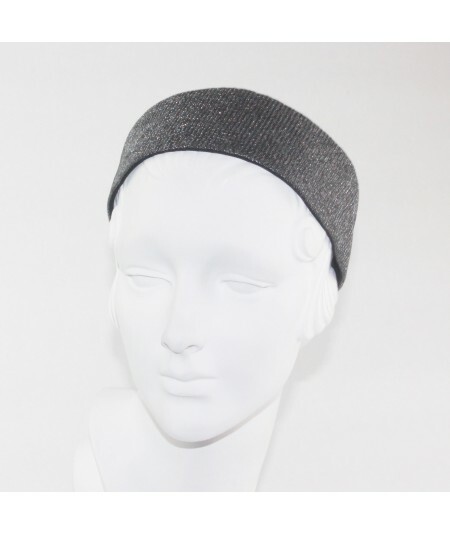 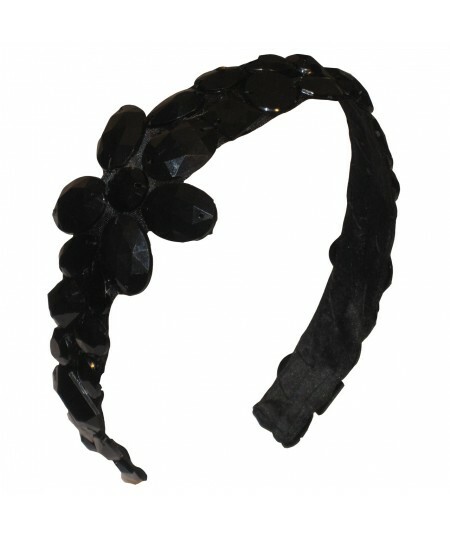 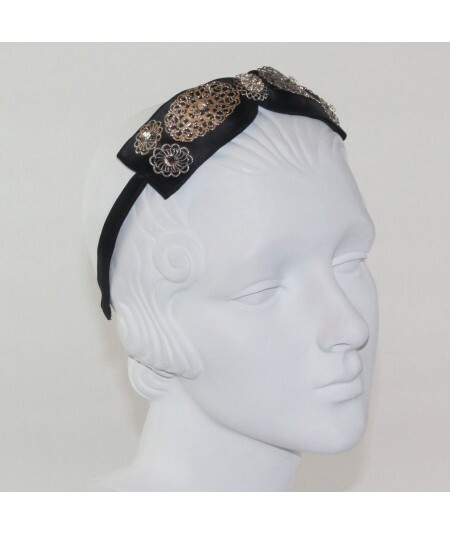 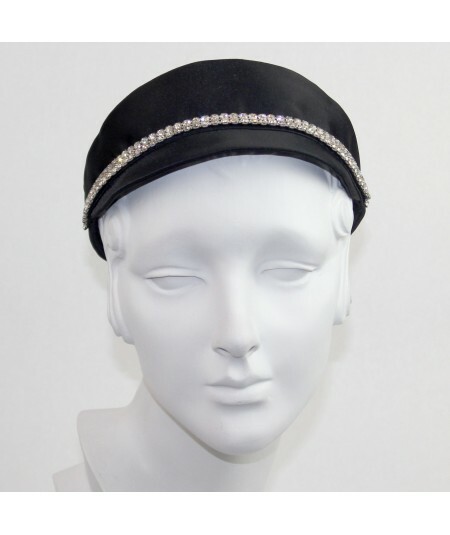 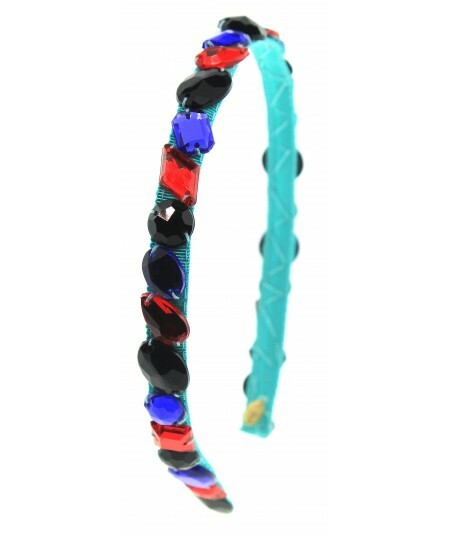 Super chic style we call "" Moley """
Metallic Tulle Twist Headband on Grosgrain Headband.